Beer in a can - who'd have thought? A new brewery has opened in Adelaide, but thirsty punters won’t find the crafty suds in a bottle because it’s all about the can for Pirate Life beer. Red Proudfoot and Jack Cameron (above, centre and right) who upped stumps from West Australia last year, first met while learning their craft beer trade at BrewDog in Scotland. On returning to Australia, Red found himself as the chief brewer at the Cheeky Monkey in Margaret River and Jack working at Little Creatures. It didn’t take too long to decide they should join forces and go it alone. Knowing that the West Australian brew scene is quite crowded, they looked east and only had to cross the Nullarbor to find their perfect HQ. This ease of dispatch is also behind their decision to put their suds into cans. 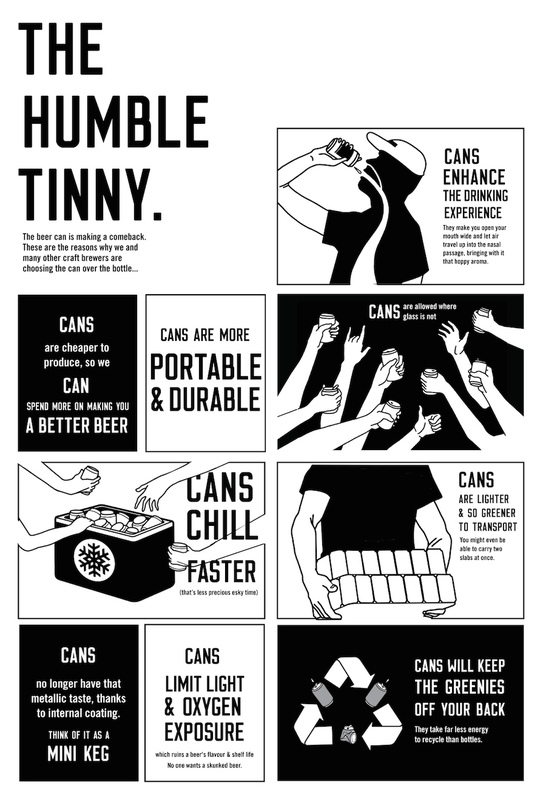 The duo have a nifty infographic explaining their love of the can – and there isn’t a bearded hipster in sight – which features everything from improved internal coatings that eliminate the metallic taste to the fact cans are easier to recycle and chill faster. Pirate Life is brewing out of a 1000-metre-square warehouse in Thebarton, with three 25hL Brewhouse vessels, a combined Mash/Lauter Tun, and separate Kettle and Whirlpool. They launched on March 1 with around 17,000 litres of packaged beer across three brands: 3.5% session IPA, 5.4% Pale and 8.8% IIPA. So far they have approached more than 30 pubs to stock their product and Red is confident that the tinnie “is making a comeback”.